Talk to your best candidates. Faster. Hire the right talent by evaluating on-the-job skills that matter most to your business. 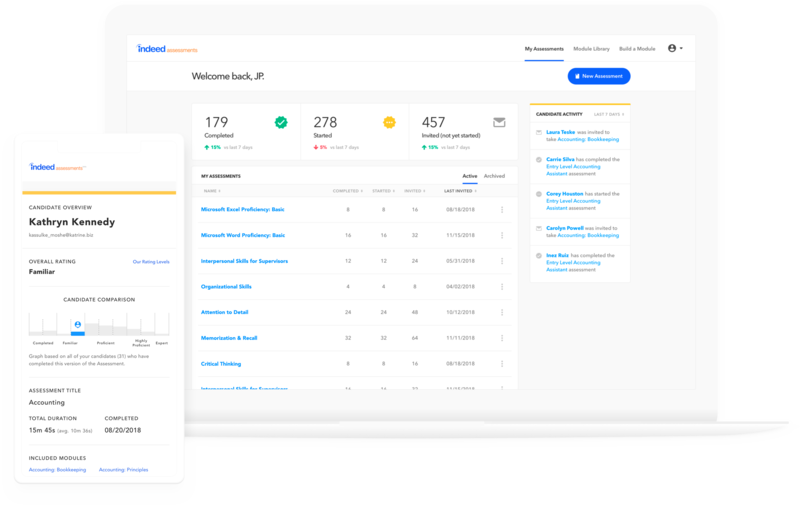 Easily get started by selecting from over 50 expertly designed test modules to match your needs — or build a custom test unique to you. Our comprehensive library includes a wide range of job levels and industries to let you screen candidates for their aptitude, cognitive abilities, and specific skills that fit your hiring needs. 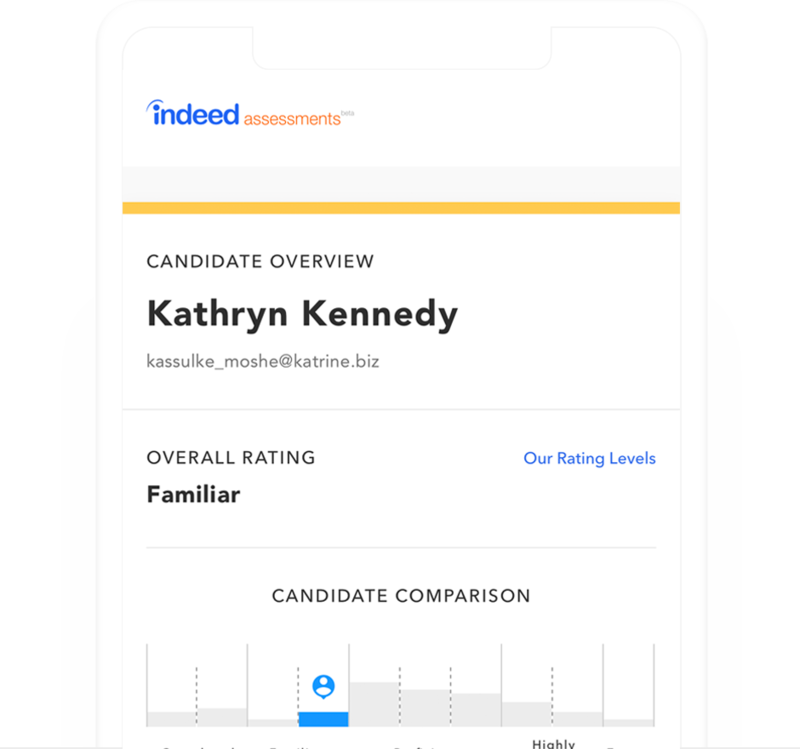 Candidate evaluation is based on results from our ready-made test modules, utilizing data-driven decision making so you can be confident that you’re making the right hiring choices for your organization. Maximize productivity, output, and business impact by hiring the right talent. 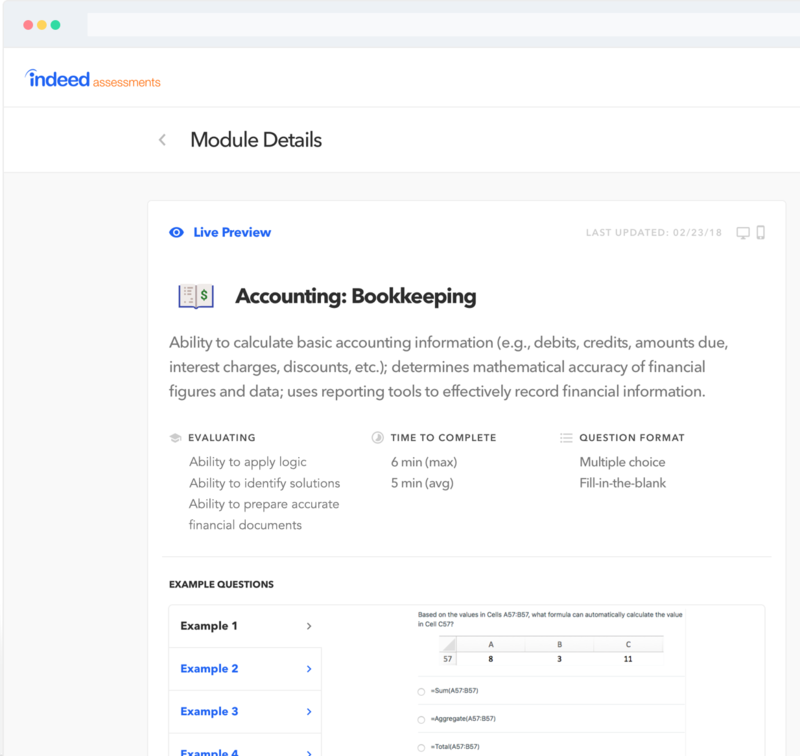 Start sending assessments in 5 minutes. Sign up, create an assessment, and invite a candidate. It’s that easy. By pressing “Sign Up” below, I agree to the Indeed Assessments Terms, and Indeed Privacy and Cookie policies. I understand that I am binding the company listed above to these Terms.